Davis Mechanical Corp is proud to serve the Carver community! Carver is a Plymouth County, Massachusetts town with about 11,500 residents. It was named for the first governor of Plymouth County – John Carver. Carver is located about 45 miles southeast of Boston and about 38 miles east of Providence, Rhode Island. 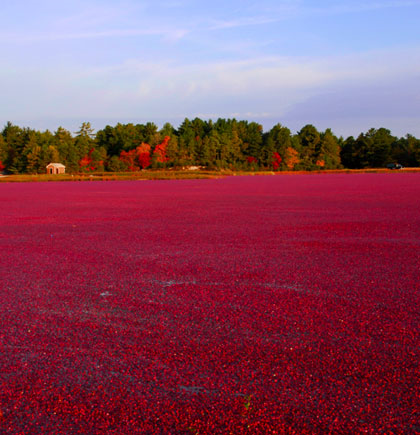 Its local claim to fame is its cranberry bogs. In the 1940s, this community had the largest cranberry harvest in the world, and even today farm in this berry is still a major business in the town. Currently, the bogs in Carver are being replanted to grow a new hybrid crop of cranberries. Whether you live in Carver or are just passing through, there are several interesting destinations that might be worth your time. Visitors who are interested in learning more about the local cranberry bogs might like to book a tour at Flax Pond Farms. Flower and horticulture lovers might enjoy checking out the selection of plants at Crystal Lake Greenhouse, Carver Florist, or Dandeelyn Florist. Carver is also home to King Richard’s Faire, the largest Renaissance fair in New England. The Carver area is located between humid subtropical and humid continental climate zones, so area residents typically invest in different climate control systems to ensure they are comfortable throughout the year. The autumn and spring months are usually comfortable and mild, but winters are cold and snowy. With low temperatures in the teens overnight, a reliable furnace is a necessity in order to get through the season safely. Likewise, summers are hot, rainy, and quite humid, and with temperatures reaching the low-80s, residents often use their air conditioners to stay comfortable throughout the season. For this reason, it is a good idea for people who live in Carver to take advantage of the cooler spring months in order to have their central air conditioning units checked out by a professional. This will ensure they are running properly and can help to keep utility bills affordable throughout the season.